But he pointed out if the environmental assessment determines any on-site contamination can just be capped, expenses for cleaning the property could be minor. Either way, demolition will pave the way for landscaping plans and site remediation, and a projected budget for the Eco-Gateway project along Desjardins Canal. The nationally threatened chimney swift has been spotted nesting in an old chimney on the property. The bird is protected under Ontario’s Endangered Species Act. 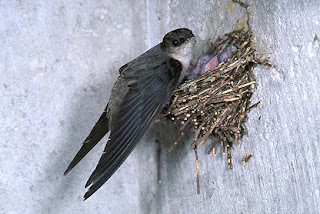 Graham Buck, species-at-risk biologist at the Ministry of Natural Resources, said the HCA had told him they will remove buildings on the site but retain the chimney as chimney swift habitat. A detailed plan to stabilize the chimney during, and after, demolition has been developed. Once all the upcoming work has been completed, and a more detailed budget for the entire project is known, the HCA and its foundation will start planning a fundraising effort. Miazga expects that will happen in the fall.